Have you observed the pattern on my blog lately? Its turning into food blog not what I visioned for. Anyways, since food has always been and will be an integral part of my life (not in sense of living but more in sense of being a foodie), am going to bring more recipes from my kitchen to you along with other ramblings. 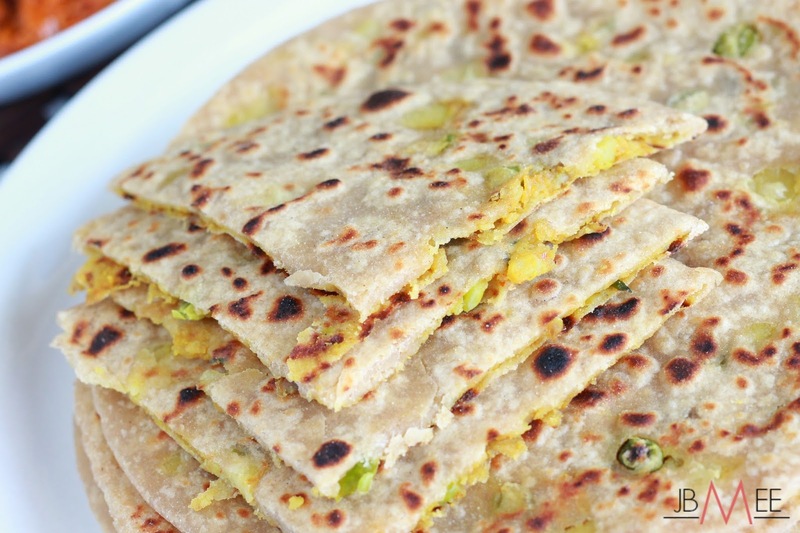 This morning Hubs asked me to make potato sandwich but I wasn't up for it that much so after little back and forth discussion on what to eat, we both settled down on "Aloo Mutter Paratha" a.k.a "Potato Peas stuffed Flat bread". 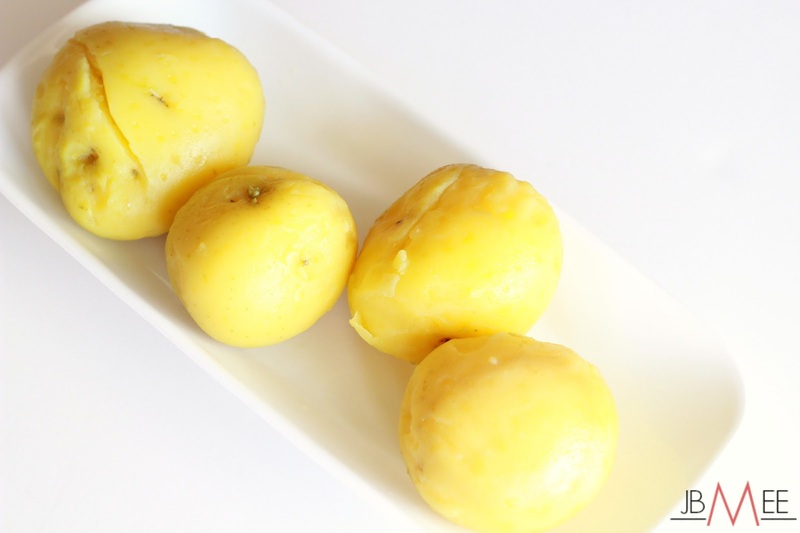 Key ingredient to this recipe are potato, onion and good amount of coriander for freshness. Straight out of boiling water. Do not forget to clean the potato pits. Add two cups of wheat flour with salt in a food processor and mix it for half minute. Then turn the food processor on and gradually add the water till if forms a soft dough. Take the dough out in a deep bowl and add 1 tsp of oil and knead with hand for a minute. 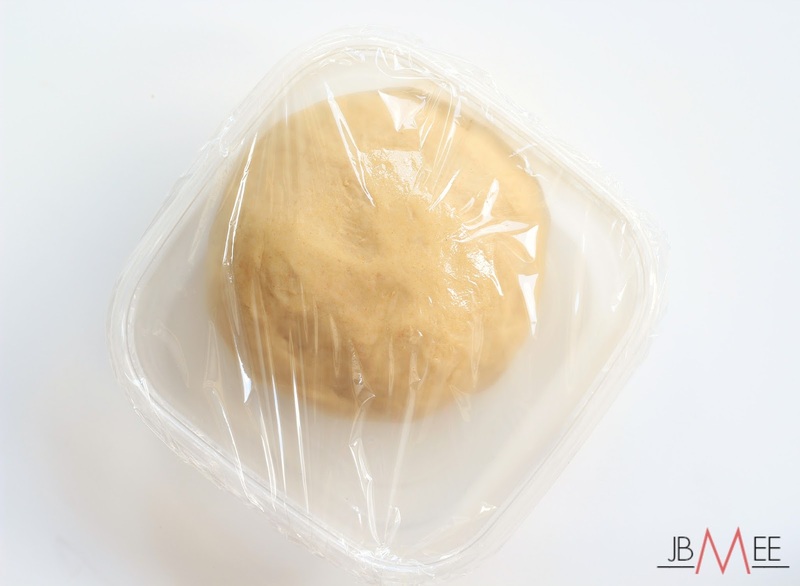 Once its becomes smooth and soft cover it with a food plastic film to avoid the surface getting dry. Take a pan and add oil. 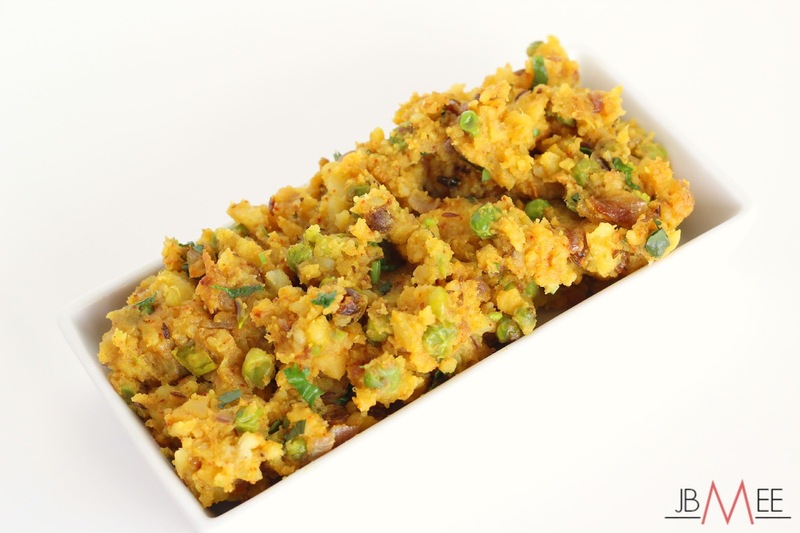 Once heated up add cumin seeds, asafoetida powder and green chilies. Saute for a minute and then add onions. Fry the onion till translucent and little brown. Add ginger garlic paste and fry the mixture for one more minute. Add peas and cover the pan with lid for a minute so that peas get cooked. Add rest of the ingredients(except coriander) with mashed potatoes. Cook the mixture for two minutes. 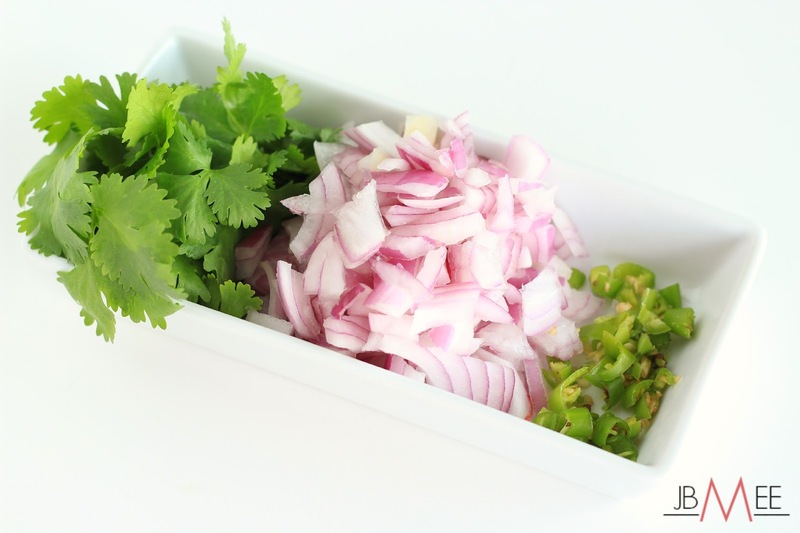 Take off the heat, add coriander and let it cool. 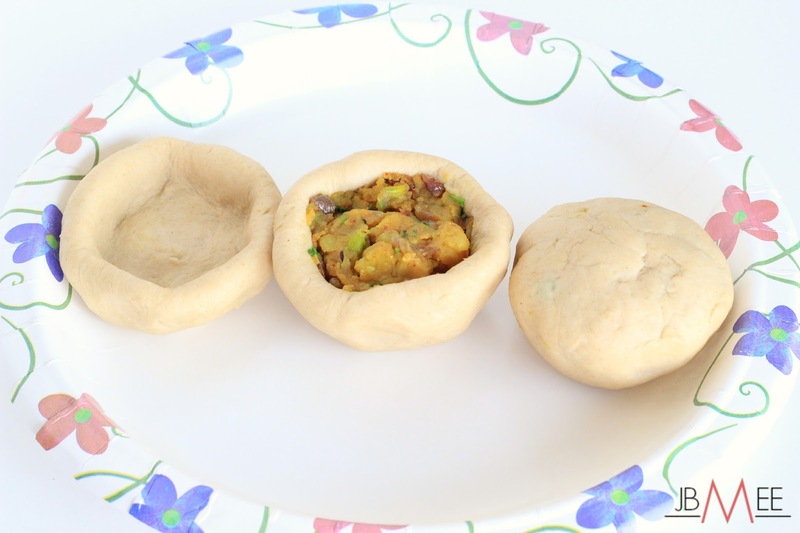 I always make the filling in little large quantity than its required for parathas so that I can make sandwiches or cutlets later using the same. Take a tawa or skillet and heat it. 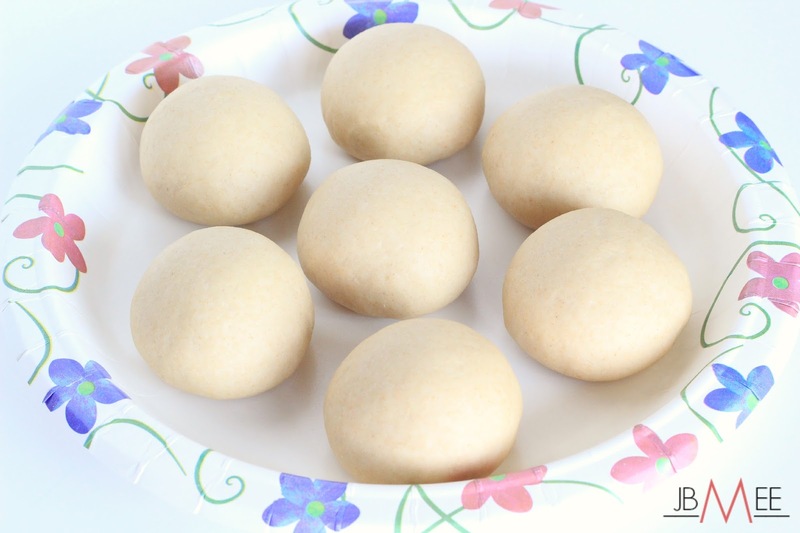 Meanwhile, take the dough and make round balls with the help of remaining dry flour(approx size of golf balls). Just like pictures below. Take one ball and make a deep well with the help of fingers. Add approx 1 tbsp of filling and close the ball at the top. Its hard to explain so I have included the pictures below. Like wise do for the remaining balls as well. 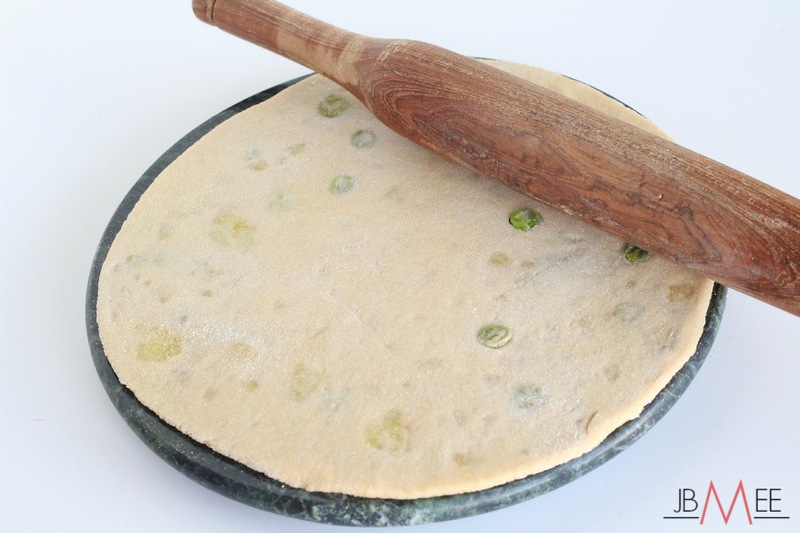 With the help of the remaining flour, take one ball at a time, coat and roll it out into a thin disc. Keep dipping the parathas into the dry flour to prevent it from sticking to the rolling surface. Shake or rub off excess flour from the paratha and place it onto the hot tawa. Flip to the other side once you see bubbles appear on the surface. With the help of spoon or brush, brush off the surface with oil. Then flip it to the other side and brush the surface with oil on other side as well. Allow it to cook for 10-15 seconds on both the sides to cook evenly. 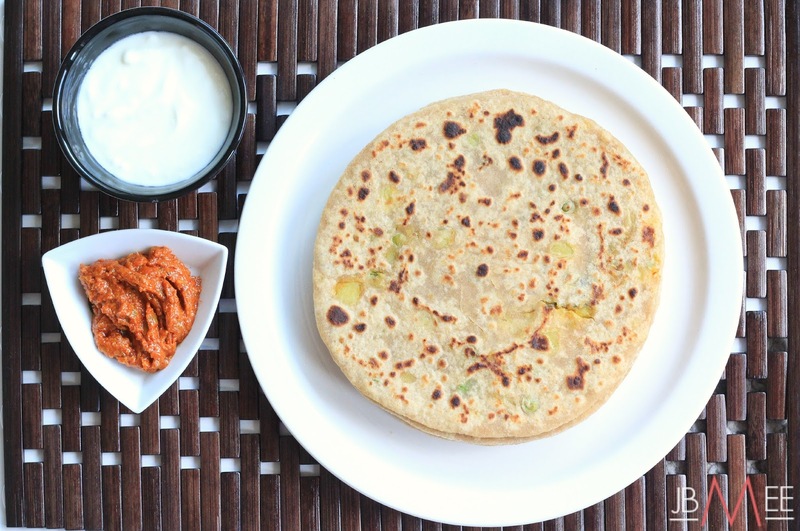 Take out the cooked parathas into an insulated container or cover with aluminum foil to keep it hot for a while. Repeat the process for the remaining balls. Serve hot with yoghurt and pickle. Perfect recipe for lunches or dinners. Wow, those look so delicious! Yum! 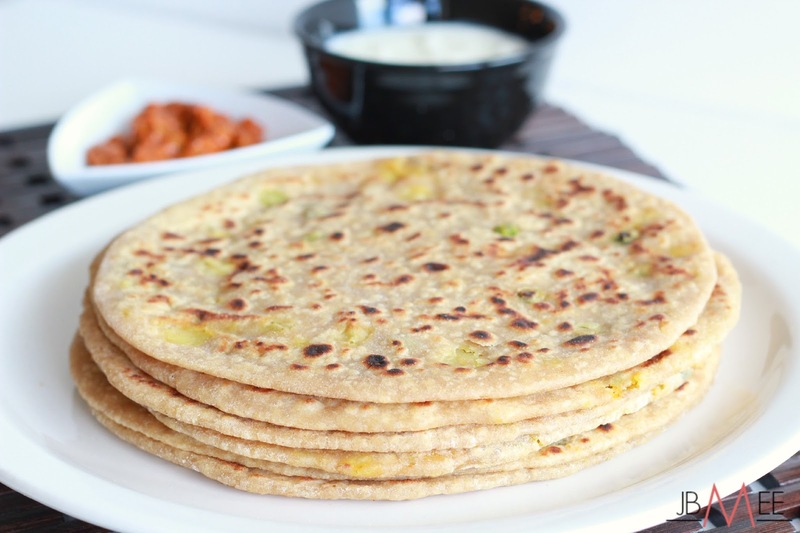 such nice and attractive photos..i love aloo parathas..must make them this weekend. Your photographs are absolutely amazing, I love them! *u* You make food look delicious through pics, haha.